Meet and Greet Song Seung Heon This Saturday! Fans of South Korean Superstar - Song Seung Heon, mark your calendars! On 7 January, Song Seung Heon oppa will be in Singapore to promote his upcoming drama, Saimdang, which will premiere on Turner’s Oh!K (Singtel TV Channel 525 / 611) on 26 January 2017 at 9pm. Best known for his roles in Korean dramas such as East of Eden, Autumn in My Heart and Summer Scent, Song co-stars with actress Lee Young Ae of Jewel in the Palace in Saimdang. The epic K-drama depicts the life of Shin Saimdang, Korea’s most famous historical female figure known for her art, poetry and calligraphy, and her love story with Lee Gyeom, played by Song. Lee stars in dual roles as a present-day Korean art history lecturer Seo Ji Yun and as Shin Saimdang. The drama also marks Lee’s long-awaited comeback to the small screen after nearly 13 years! So, be sure to catch Song Seung Heon as he shares more about his role in the much awaited serial, as well as interacting with fans through some fun and games! 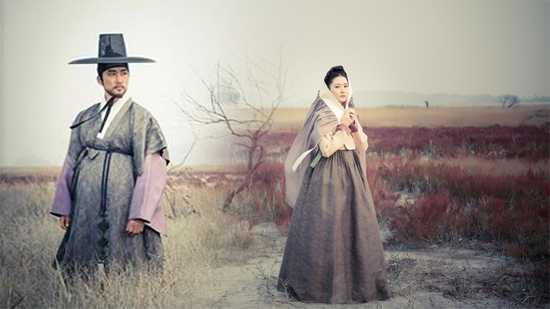 Saimdang will broadcast simultaneously with Korea, and air every Wednesday and Thursday. The drama will be dubbed in both Mandarin and Bahasa Malay.